Long live the king. 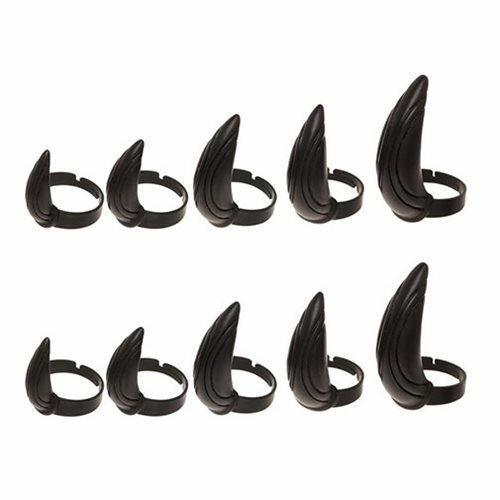 Show your Marvel pride with these Black Panther Cosplay Finger Nail Tip Rings. Made of Zinc alloy and adjustable, these mails measure between 3/4-inches and 1 1/2-inches long. This set of 10 comes packaged on a hang tag. Ages 14 and up.